Just received notice in my inbox this morning that Lego’s push into the MMORPG market will be no more, as they are shutting down the servers on Jan 31, 2012, only 1 year a few months after opening. Although this was a fairly functional MMORPG, this game was designed for children, plain and simple. The only interesting aspect of it was the Lego piece collecting and personal properties where you had the ability to create whatever you could imagine. And now everyone eagerly awaiting SWTOR can look forward to swarms of these kids invading their servers. 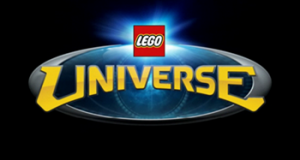 This entry was posted in MMORPG, Video Games and tagged Lego Universe, Lego Universe Shut down, MMORPG on November 8, 2011 by David.